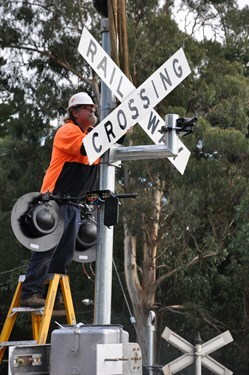 ALCAM is the abbreviation for the Australian Level Crossing Assessment Model. ALCAM is an assessment tool used to identify key potential risks at level crossings and to assist in the prioritisation of crossings for upgrades. The risk model is used to support a decision making process for both road and pedestrian level crossings and to help determine the most cost effective treatments. The Australian Level Crossing Assessment Model is managed nationally by organisations that cover all aspects of the model inclusive of road and rail authorities and key stakeholders to level crossings across Australia and New Zealand. Further information regarding the construction and algorithms used within the model can be found here. Details of the members and organisations that form the National ALCAM Committee can be found here.